We’re excited to announce we’ve added 15 new VyprVPN server locations around the world. These servers add to our existing network of over 700 servers, and with these additions VyprVPN is now available in over 70 locations globally! 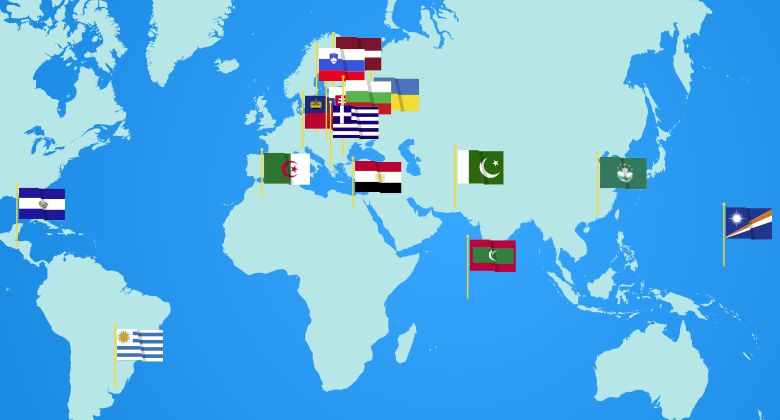 The new server locations are located in the following countries: Algeria, Bulgaria, Egypt, El Salvador, Greece, Latvia, Liechtenstein, Maldives, Marshall Islands, Mongolia, Pakistan, Slovakia, Slovenia, Ukraine and Uruguay. This expansion across continents will increase service and connection points for VyprVPN users around the globe, as VyprVPN continues to offer a blazing fast network with a great number of servers and IP addresses. We’re always adding new servers, so keep an eye out for our next additions. Have an idea for a new server location? You can visit Golden Frog Ideas to share your recommendations! VyprVPN Desktop – If you use VyprVPN Desktop, the new server location will automatically be available when you choose your server location. VyprVPN Mobile – If you use VyprVPN Mobile, simply log out of the app and log back in to enable these new locations. Connect to any VyprVPN server location without restrictions on data transfer or server switching. We offer unlimited switching between server locations and have over 200,000 IP addresses, so server connections are always available. View all of our server locations.